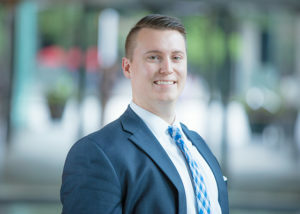 Joshua is a Trading & Portfolio Operations Associate at Heritage Wealth Advisors. He works closely with the Investment Advisory, Client Service and Operations teams to recommend investment solutions, monitor portfolios, and assist with the rebalancing and trading of clients’ portfolios. Prior to joining Heritage, Joshua worked as a Financial Analyst at Bingham Arbitrage Rebate Services, Inc. in Richmond, Virginia. He also held a position as an Investment Plans Department Associate at Northwestern Mutual. Joshua attended Virginia Commonwealth University as an undergraduate, earning a Bachelor of Science degree in Financial Technology with a concentration in Actuarial Science. He is currently a candidate in the CFA® Program.